Irons are one of the most used clubs in your bag. Because of this, it’s important that your set of irons fit your play style. Are you a player who is hits your irons with superior accuracy and precision? Are you just learning the game and need a club that offers more forgiveness? No matter your skill level, there is a set of irons for you. We will be comparing the best golf irons for 2019 to help you not only improve your mid range and short game, but ultimately lower your scores every round. Similar to drivers, most irons on the market currently, are loaded with features with a number of different designs. This can either be a great thing for experienced players, or overwhelming and confusing for beginners. We will explain the features of each set of irons, the benefits, and who each club would be best for. So whether you are a beginner who is learning how to swing, or a seasoned veteran, we will cover irons that will be a perfect addition to your bag this season. The TaylorMade M4 irons are an improvement over the previous M3 irons in terms of head size, technology, and forgiveness with RIBCOR. TaylorMade claims that the RIBCOR technology offers more stability and ball speed compared to previous models. Compared to similar iron sets, the loft on the M4 is stronger than most. TaylorMade designed these irons to generate more distance, and based on the loft specs below, you can see how. Overall, the M4 irons are supposed to be an upgrade over the previous M3’s. With the addition of the RIBCOR technology, the M4 is a better iron for players of all skill ranges. Based on the design and pitch angles, the TaylorMade M4 Irons would be perfect for mid – high handicapped players. Players are reporting that these clubs certainly offer longer hits with much less effort. This can be attributed again to the loft angles of the clubs. With the increased forgiveness and strong loft angles, these irons would be a great addition to any bag for players looking for more distance with their irons. Based on their older JPX 900, Mizuno’s JPX 919 Irons are certainly and upgrade in terms of looks and play ability. The JPX 919 irons are available with three different set options, the Tour, Forged, and Hot Metal. Each of these three irons offer varying designs for players of all skill levels. Overall, the whole JPX 919 set looks extremely nice from a very stylish and modern design perspective. Introducing the JPX 919 Tour irons. The Tour utilizes a true blade design, which is the thinnest iron design available. Blade irons such as the Tour are best for low handicap golfers who are consistent with their irons. Based on the older Mizuno JPX 900 Tour irons, the 919 features an updated design that is one of the best on the market currently. The Tour is designed with a Grain Flow Forged HD metal, with a head that will not offer players much forgiveness. The objective of the Tour irons was to figure out how to improve upon the 900 Tour. This was done by working with professional players and getting feedback about what they would like in their irons. Due to the true blade design of the Tour irons, if you are not spot on with your shots, you will certainly know. Shooting a blade style iron is best reserved for very low handicap golfers who are extremely consistent with their golf clubs. If you fall into this category of player, then these are certainly the irons for you. Players report that the Tour irons strike the ball extremely effectively, providing excellent distance, ball speed, height, and accuracy when hit perfectly. These irons feel amazing in your hand when your shot is dead on, and would be an elite player’s iron. To be expected, the Tour are the highest priced set of the three in the JPX 919 line. The second design in the JPX 919 line is the Forged. These irons are a less slim design compared to the Tour irons. The Forged would be a great iron for the middle to low handicapper who is very comfortable hitting their irons in all situations. While thinner in size, the Forged still offers enough forgiveness to make any player feel good. Mizuno utilizes a grain flow forged HD casting with these irons, just like the Tour, which they claim will offer a softer feel. One aspect of the Forged that players tend to notice is that for the not so perfect shots, the ball doesn’t go where you’re hoping. While this is to be expected to a degree, the Forged almost plays like a true blade iron. When the ball is hit perfect however, you can expect the ball to explode off the club with precision. When looking at price, the Forged are in the middle of the three sets, but still affordable. 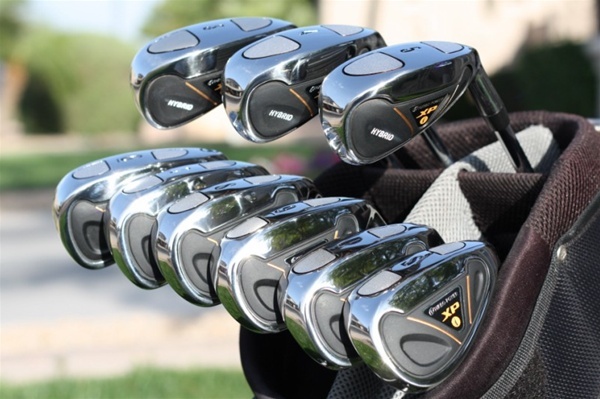 The Mizuno JPX 919 Hot Metal irons are a great iron for the higher handicapped golfer. Based on the larger club head, these irons are developed for increased forgiveness and distance. Mizuno claims that these irons are more stable due to their chromoly design than previous models and will offer increased distance, trajectory, and ball speed. When compared to the Tour and Forged, The Hot Metal irons seem to generate more distance. This is due to the stronger loft angles of each club in the set. For higher handicapped golfers, this is beneficial, whereas higher skilled players are looking more for accuracy. Most players agree that the Hot Metal irons certainly perform as well as they look. Given the fact that these irons are designed to be more forgiving and for a high handicap player, every one can agree that these clubs perform great. These irons offer tremendous ball spin and distance all around. When comparing cost, the Hot Metal irons are the lowest of the three JPX 919 sets. Callaway’s line of Big Bertha irons have been given a face lift for 2019. The revitalized Big Bertha irons feature a stunning Smoked PD finish that rivals and set of irons on the market. These irons look fantastic and offer technology to match. The 2019 Big Bertha Irons offer players not only an upgrade in looks, but in performance as well. The newest Big Bertha irons feature Callaway’s Suspended Energy Core. This was designed to deliver easy launch, longer, more consistent distance, and an incredible sound and feel. The face of the irons utilize the innovative 360 Face Cup, which is a flexible rim around the face. This flexes and releases upon ball impact to help generate greater ball speed. Combined with the high launch angle created by the Suspended Energy Core, the 360 Face Cup allowed Callaway to create their thinnest face for increased speeds and distance. These irons come with a variety of regular or stiff flex shaft options including stock and custom graphite, as well as a stock steel or custom steel option. This allows players to fine tune their game based on how they swing the shaft of their choosing. In addition, the Big Bertha irons offer 122 grip options as well. Overall, the 2019 Big Bertha Irons not only look great, but perform phenomenal. Players are reporting not only greater distance with the use of these irons, but increased accuracy as well. Based on the design of these irons however, these would be best suited for mid to lower handicapped players. They may not be as forgiving as other iron sets, but if you are a consistent iron hitter, then there’s no denying the 2019 Big Bertha irons make a strong case to be in your bag this season. Designed based on feedback from their AP1 and AP2 irons, the AP3 irons are what Titleist calls “The Player’s Distance Iron”. The objective when designing the AP3 irons was to advance the AP1 and AP2 combined to create Titleist’s longest, fastest iron to date. The AP3 incorporates the distance and forgiveness of the AP1 while simultaneously emulating the look and feel of the AP3 is designed with tungsten towards the toe and heel, with a cavity that goes all the way around the back of the club. 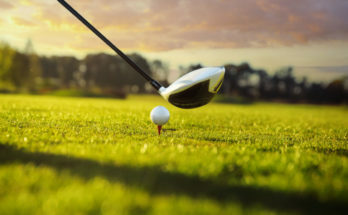 The majority of the club head’s weight is in the bottom third of the club, which increases the forgiveness it offers. When it comes to distance, the loft of the AP3 is more comparable to that of the AP1. All clubs in this set are essentially one degree higher than the lofts the AP1 offers. Based on how the AP3 irons were developed, it seems that Titleist found the sweet spot with loft on these irons. While still a blade design, the AP3 irons offer players much improved forgiveness on those not so perfect shots. While utilizing a similar design from past models the AP3 is far superior than the AP1 and AP2 when it comes to shot forgiveness. Overall, the Titelist 718 AP3 irons are an outstanding set of clubs. The older AP1 and AP2 irons were great, but Titileist took their successes and made it better with the release of the AP3. These irons seem to be a great all around set no matter your skill level. While featuring more of a less of a blade deign than the AP2, the AP3 irons are still more tailored for the low – mid handicapper. However, mid to high handicap golfers can certainly benefit as well and grow into these clubs. The F8 Irons are Cobra’s first ever connected set. 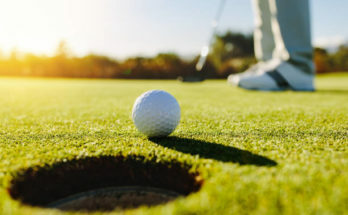 This allows players to make data driven decisions with the use of Cobra Connect. 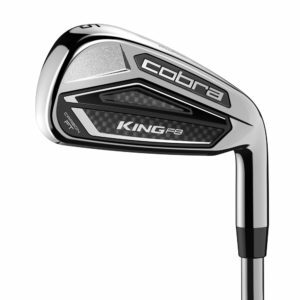 The Cobra F8 Irons utilize forged PWRSHELL faces that are equipped with E9 Technology. This creates a 20% thinner club face, which results in greater flex and explosive distance. F8 irons incorporate Carbon Feel Technology to strategically place carbon fiber on the club to harmonize feel. The carbon fiber is used to create a softer, more solid club head feel in addition to being able to add more weight to the bottom of the clubs to make them more forgiving. When a club is designed like this, they typically have a strong loft, and the F8’s are no exception. These irons also use TECFLO Technology to optimize club performance via progressive hosel lengths, sole widths, and construction. Overall, the Cobra F8 irons are packed with technology while retaining the classic iron feel. The ability to analyze data via Cobra Connect. 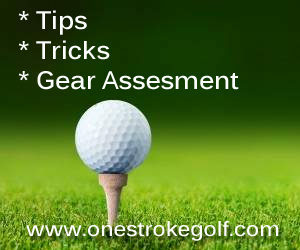 This will help players better analyze and fine tune their iron game for improved distance and accuracy. The Cobra F8’s are a great iron for the player who likes the look and feel of an expensive club without the price. Aside from the looks, the Ping G400 irons are a great performer. Equipped with Ping’s COR-Eye technology for better distance and increased face flex. This helps generate 18% more face flex which translates into higher ball speeds, distance, and ball trajectory resulting in more accuracy. The G400s have been designed for not only maximum distance but forgiveness as well. With a toprail undercut cavity on the head, the G400 utilizes a co-molded 3-piece badge which helps improve the sound and feel of the club. Not only does the G400 perform well, but it looks incredible. With its aesthetically pleasing lines and smooth transition, the G400 irons are some of the best looking on the market. The G400 is finished with Hydropearl Chrome which was designed to reduce friction and improve both launch and ball spin. The Ping G400 irons are certainly a contender for best irons of 2019. Players are reporting that not only are these irons providing greater distance, but how much better they feel compared to previous Ping irons. With the greater forgiveness, players who may not be the most consistent can certainly shoot great despite those imperfect shots. Overall, the Ping G400 irons are clubs that players should strongly consider for their bag this season. The Wilson Staff C300 irons feature Wilson’s Power Hole Technology resulting in greater ball speeds, longer distance and consistency. Power Hole Technology utilizes urethane-filled holes around the face to minimize contact between the body and face. This is done to create a club head with maximum flex and an expanded sweet spot. The C300 irons are the first to offer two rows of Power Holes. This allows for not only maximum club face deflection (up to 57.8% increase), but much improved forgiveness. In addition, the holes on the toe and topline of the club head ensure every shot is consistent. The C300 s designed for greater fogginess and stronger lofts, which is the optimal iron for player who may not be the most consistent. Overall, with its larger head size and maximum forgiveness design, the C300 is a great Iron for those higher handicap players. While most players may not need the forgiveness that the C300 offers, it is certainly useful. The C300 seems to be a longer hitting club compared to the Forged, so because of this, it is important to understand your swing style and consistency. All in all, the C300 is a great option for players of all skill levels. Similar to its C300 counterpart, the C300 Forged utilizes Power Hole Technology. While utilizing the Power Hole Technology, the C300 Forged features a smaller head, so there are less Power Holes. Where the Forged differs from the standard C300 is that there are no Power Holes on the top of the head. In addition, when looking at the 9 iron and pitching wedge, there are no Power Holes at all. When compared to the C300, the C300 Forged offers weaker loft angles. While the difference may not be too far off (1 – 2 degrees per club), this can make a difference in how you hit these clubs. The result of the weaker lofts is that you lose some distance, but for experienced and highly skilled players, this might not be a big deal as they focus on accuracy. Another difference between the two C300 irons is the price. The forged are slightly more costly than the standard C300, but based on the market for forged clubs, they are very competitive with pricing. The Wilson C300 Forged irons are a great option for the lower handicap player. Unlike the C300, the C300 Forged utilized a smaller head design with weaker lofts. This translates to irons that are much less forgiving than the C300. Despite this, if you are a seasoned player who demonstrates consistency, the C300 Forged is a great option club. When it comes to comparing the best irons for 2019, there are a lot of options to choose from. Whether you are basing your decision on price, handicap level, or even features, there is an iron for players of every skill level. Irons are an intricate part of your game, and choosing ones that are not best for your play style will not only hurt your game, but cost you a good amount of money. While most might think that all irons are the same, this is simply not true. When it comes to choosing a new set of irons, you need to make sure you use clubs that will help lower your score and make you a more consistent player every round. Looking for a new set of irons this season? We review the best irons for 2019 from golf's top club makers including Ping, TaylorMade, Titleist, Wilson, Cobra, Mizuno, and Callaway. 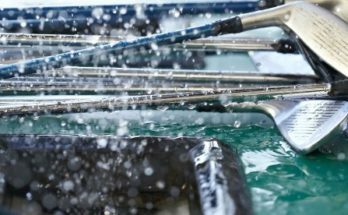 See which top rated irons are best for you!